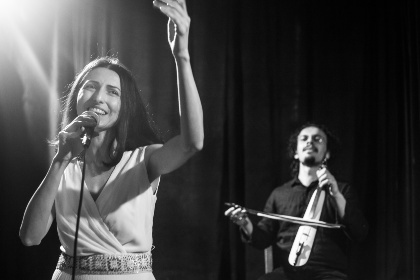 Aysenur Kolivar was born in Turkey's Black Sea region and has become one of its leading voices. As a student at Bogazici University she was part of the Kardes Tuerkueler ensemble, which was a force in promoting the diversity of cultures in the face of increasing ethnic tensions. 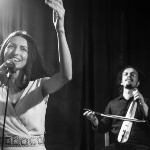 She performed with them between 1993 and 2000, after which she founded the Dalepe Nena (Sisters' Voice) women's music group and became a soloist and researcher with the Helesa Project, collecting and performing folk music from the Black Sea. She has focused her academic studies on the cultures of the East Black Sea and women's issues in particular. 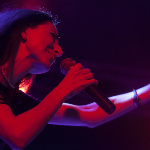 She is presently a doctoral student of Musicology and Music Theory as well as being a well-known recording and performing artist and composer of music for several films.